There are many amazing things in the small Yap Island but the most surprising is the giant stone money – the famous Rai of Yap. Initially these stone discs were smaller but over the centuries this became the largest and heaviest money in the world. The weight of these "coins" reached 7.6 tons! That’s a kind of problem to carry them around – and as a result Yapese invented their own system of clearing transactions and have managed to use this money even without seeing it! The island of Yap is small – just 100 km² – smaller than a medium sized city. But, as it happens in Pacific islands, this small island has experienced a birth and development of great culture. Yap has preserved its indigenous culture comparatively well up to this day. Nearly anyone agrees that people of Yap are very pleasant and they value their history and cultural values very high. The stone money of Yap is a brilliant example which illustrates how the objects of value are created. The money of Yap is made of a white or brownish varieties of limestone, consisting of aragonite crystals. This marble-like material might not seem to be very valuable to Westerners, but we should not forget that the world is diverse. The small island of Yap did not offer a plenitude of different materials to its inhabitants – here is not found gold, diamonds or other jewels. No wonder that one day, when Yapese people learned about a beautiful, translucent and nearly white stone in the neighboring Palau, this material was seen as something very valuable. “>Palau, this material was seen as something very valuable. It is possible that the craze of stone discs started with small stones for necklaces. This aragonite jewellery did not have any other spectacular alternatives and was highly prized. The aragonite of Palau may be had a religious value as well as it was used for sacred sculptures. Thus: unusual, beautiful and rare material formed one part of the value of Yap stone money. Thus the stone money of Yap was mined 460 km from the island, in Palau islands. There were several mines – the best known are in the southern part of Airai but also in Koror and in Ngkeklau. The natural stone often was carved from vertical cliffs, first constructing a scaffolding to access it. Freshly cut stone was bright white or orange. Stone masons immediately cut it in round form and then made a hole in the middle. Work was done without iron tools and without hard stone tools – with shells (!). The hole was pierced with corall stone and the stone disc was polished with pumice. The agreement with the people living in Palau about the use of their stone mines did not come easy due to the frequent hostilities. Thus: additional value was added to the stone money by the overseas travel to a hostile land and dangerous, complex process of mining. When the beautiful, valuable stone money was ready, there arised another challenge. First the stone discs had to be carried to the beach, whole and unharmed. And when this was accomplished, the sparkling white, translucent and… incredibly heavy stone discs had to be transported back home, over rough seas to the 460 km far Yap. Yapese used outrigger canoes – fragile looking, narrow boats. Such means of transportation definitely were not too suitable for the transport of enormous stones. Nevertheless Yapese did it. Stones were pierced on massive bamboo shafts and placed on special rafts. The voyage continued for several days and very often the stone discs were lost in the sea. There are known sunken stone discs near the shores on islands and for sure there are more in the deeper sea. Thus: even more value was added to the money by the hard and risky transport of stone discs over the sea. Yapese tried another interesthing method to float their stone money to Yap – in summer months they placed the stone discs on large bamboo rafts and left them at the disposal of south-west winds. Somebody in Yap was warned to search in the sea for these "unmanned transporters" with their valuable cargo. Of course, much of stone was lost in such operations. 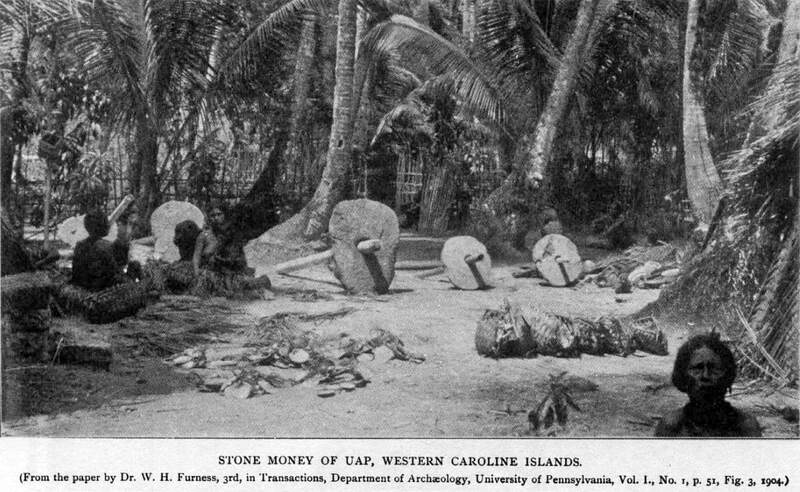 The research of Yapese stone money has provided contemporary Western finance experts with valuable and surprising information. It is believed that the first people from Yap came for aragonite already around 500 AD, but more intense mining started in the time period between 1000 and 1400 AD. It is possible that it happened due to the hostilities with the islands to the east from Yap – Yapese initially used shell money, which was obtained in the atolls east from Yap. Initially the stone discs were small, similar to shell discs – with a diameter of 7 – 8 cm. Initially this money was a privilege of the rich and influential people. The economical stability for centuries was maintained by the fact that each of the risky expeditions to Palau could bring home only few "coins" in canoes. The value of stones is increased by their history. For example – if the stone was brought by a famous sailor or if people died while transporting it, the value of stone increased. Before the coming of Europeans stone discs were 0.5 – 0.9 m in diameter, maximum – 1.2 m. According to some accounts in the middle of the 19th century stone money was very rare in Yap. As the Europeans came, this balance was lost. Large European ships could bring plenty of valuable stone discs. Europeans introduced iron tools, what made it possible to make stone discs much faster and quicker. These stone discs were more smooth and more precise in their form. Especially high influence was left by Captain O’Keefe. This Irishman liven on Yap from 1872 to 1901 and organized a trade of copra from this island. O’Keefe managed to get 1.8 m large stone discs to Yap with his ship "Katherine". Nevertheless these new stone discs had lower value than the older "coins". They had lesser value because their production and transport was easier and involved less risk. Thus the Yap stone money experienced dramatic inflation in the late 19th – early 20th century. There was experienced also a tremendous change in social hierachy. If earlier only a handful of people were involved in mining and transport of money to Yap, now almost every islander could take European ship and try his luck in Palau. Only in 1902 there was renewed the old order and only the senior citizens of Yap had the privilege to organize the production of money. One of the last stone discs was mined in Palau in 1931 and transported to Yap in 1932. Yapese certainly had ambitions – when Europeans started to help them, Yapese money became larger and larger. 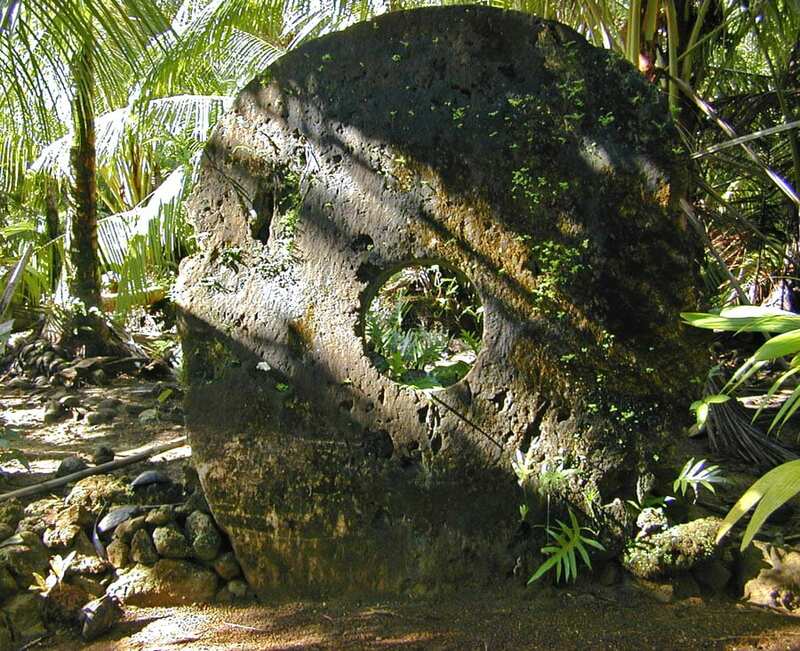 One such giant stone disc has been left in Palau (it is named: Metuker ra Bisech in Airai) – this giant weighs 7.6 tons and has a diameter of 3.5 m. A piece of this disc has been broken off – may be this is the reason why it has been left in Palau. 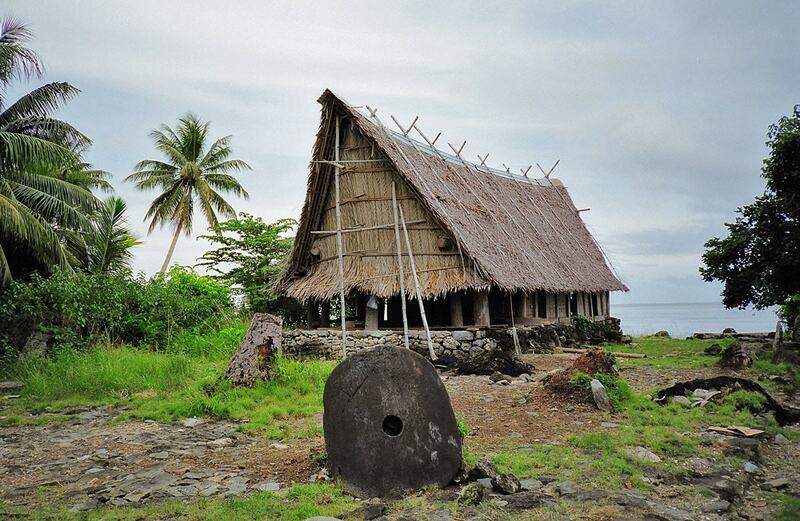 The largest stone discs successfully brought to Yap are the stone discs of Rumung. In the early 20th century German trade ships brought to Yap the largest stone "coins" ever transported – the famous stone discs of Rumung. Rumung is smaller island to the north of Yap. The people of Rumung guard their culture – until recent times they did not allow tourists to come and the few ones who come here are not allowed to take pictures. 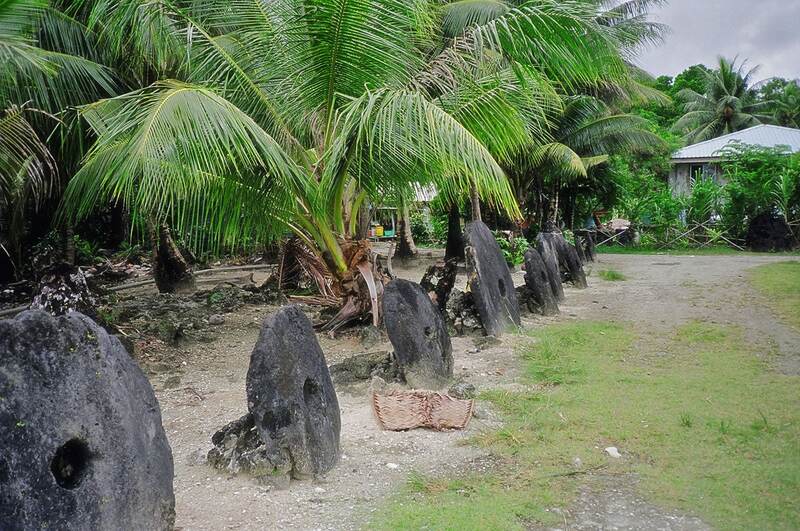 On this island, in a palm growe near Riy village are located two largest "coins" of stone money in Yap. One has a rough form of pentagon. 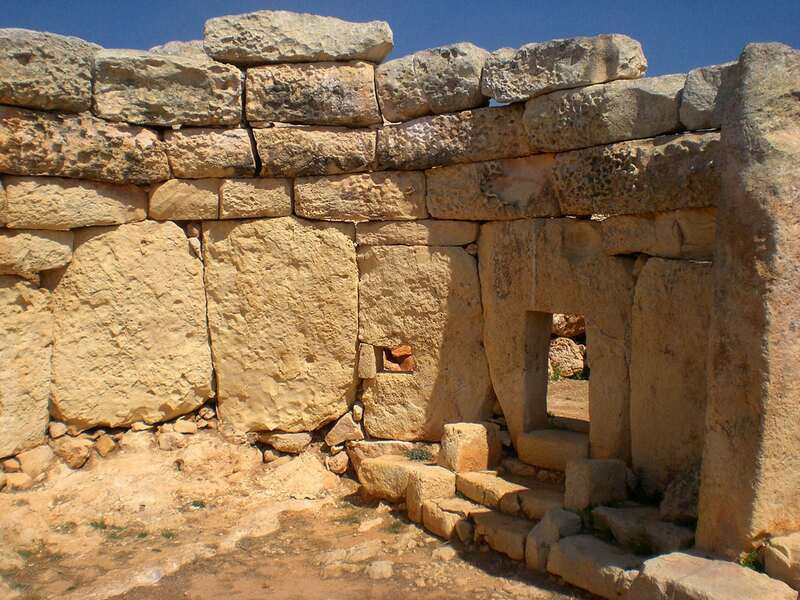 Diameter of this stone is 2.88 m, thickness in the middle – 30 cm. The largest stone is round. It lies on the ground and has a diameter of 3.6 m, stone is 33 cm thick. It weighs several tons. This is the largest money in the world. In 1929 Japanese made a thorough accounting of rai of Yap. 13,281 stone discs were found on the island, which had only 4,400 inhabitants at the time. Unfortunately now the number of stone discs has decreased more than two times – many were lost in World War II due to use as anchors or building material. Many stones were lost during the havoc created by frequent typhoons and still are buried under debris and jungle. Most stone discs are 0.3 – 0.55 m large and only in rare cases their size exceeds 1.5 m.
The largest stone discs are placed outside failua – men’s house of the village and are a pride of whole village. Other coins are placed in the front of homes and serve as a display of the wealth of their owners. Larger collections of stone money are called malal and they represent a kind of bank. Rai of Yap still is in use in the island. 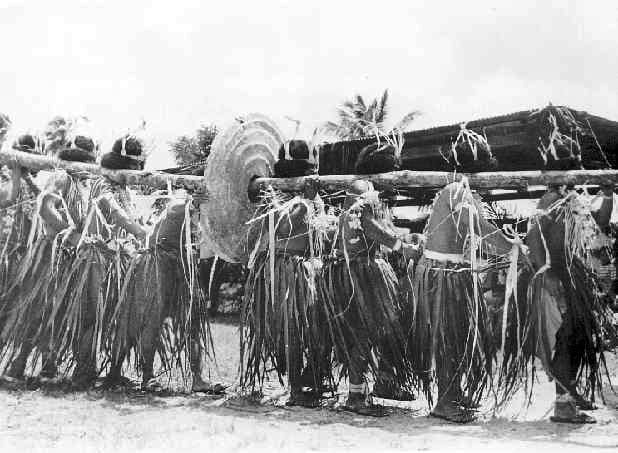 Although there always have been several currencies in use, the rai was of especially high importance to Yapese people. With each transaction the value of stone money decreases and due to this rai is used in transactions in rare, very special cases. Such cases could be: a payment to the groom by the father of bride, a payment for building the house, for organizing funerals or diverse festivities. Very expensive were the services of tatoo masters – they often got their salary in stone money. The hole in the middle of stone discs was used to put through a massive wooden pole – then several man rised up the "coin" and carried it elsewhere. This was a hard job and everyone had to be very careful to avoid damage to the coin. To avoid such unnecessary riscs islanders left the stone discs where they are, even if owners changed. Thus the stone discs in front of house could belong to somebody else from another village. Once in the middle of the 19th century it happened that one particular stone disc went to the bottom of the sea during a violent storm. Sailors happily made it to the island. They assured the islanders that the sunken stone disc was especially large and well made – and thus everyone assumes that exactly this invisible rai on the bottom of the sea is especially valuable. Although no one has seen this stone disc for 150 years, it is still owned by somebody and transactions with it continue. This is a brilliant case of non-cash turnover. In the early 20th century German administration could not agree with the people of Yap about the repairs of their famous footpaths. These ancient footpaths were not suitable for wheels – thus Germans were not happy with them. Locals though only walked on them and for them these paths were just excellent. Yapese could not understand what Germans want. When the talks failed, Germans painted black crosses on the most valuable rai in the disobedient villages, thus symbolically claiming them. In order to regain them, islanders had to repair the footpaths. This measure gave miraculous results – the pathways were rebuilt in a very high quality and villages got their stones back. Thus the stone money of Yap represents a rare fusion of megalithic culture and modern finance management. Bordes, Claude. L’île à la monnaie de pierre, L´Antisophiste, 2009. Accessed in 11.11.2011. Friedman, Milton. The Island of Stone Money, Working Papers in Economics E-91-3. The Hoover Institution, Stanford University, February 1991. Gilliland, Cora Lee C. The Stone Money of Yap – a Numismatic Survey, Smithsonian Institute, 1975. Accessed in 11.11.2011. Speedy, Allan. Traditional Money, 2008. Accessed in 11.11.2011. 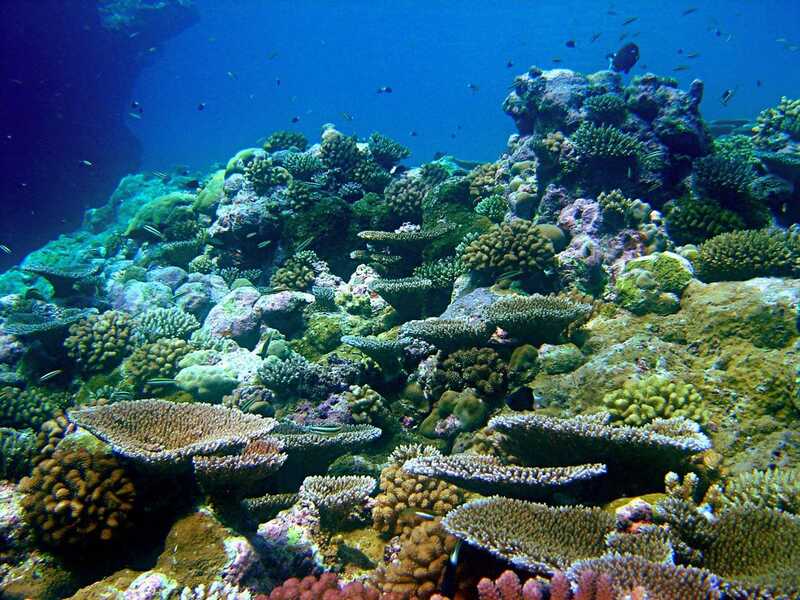 Highlights of the Federates States of Micronesia are archaeological monuments, especially the unique Rai of Yap and the ruins of Nan Madol as well as unique ecosystems above and under the water.